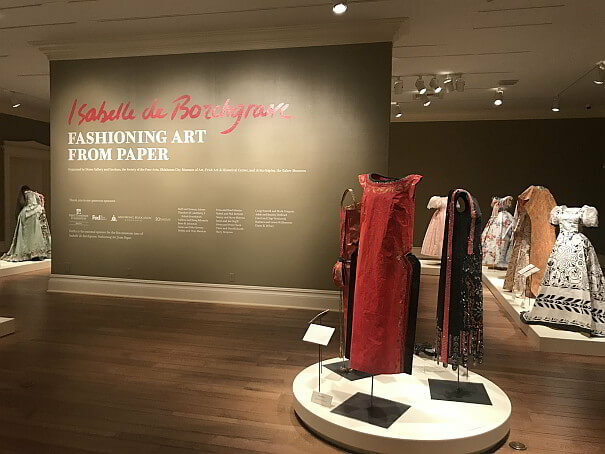 Isabelle de Borchgrave: Fashioning Art from Paper is an expressive compilation of 250 dresses and accessories, along with an Elvis tribute of his famous jumpsuit, on display at the Dixon Gallery and Gardens from October 15, 2017 to January 7, 2018. Bourchgrave’s raw talent and passion for art is evident in her breathtaking exhibit, and she takes pride in being presented in such a “precious and beautiful” museum in Memphis. 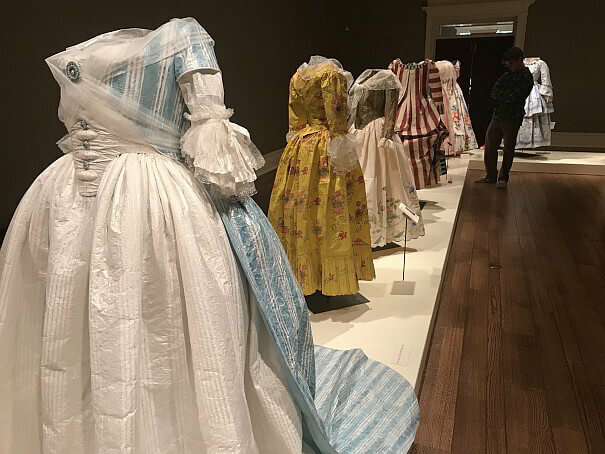 The intricate designs and enrapturing patterns of Borchgrave’s dresses and accessories present a unique take on paper and fashion in a national retrospective. Primarily, the Belgian artist and sculptor derived inspiration for her dress exhibit from making fabric dresses for her friends. Although she started her artistic studies at age 14, Borchgrave acquired a love for drawing and creating art ever since she learned to hold a pencil. 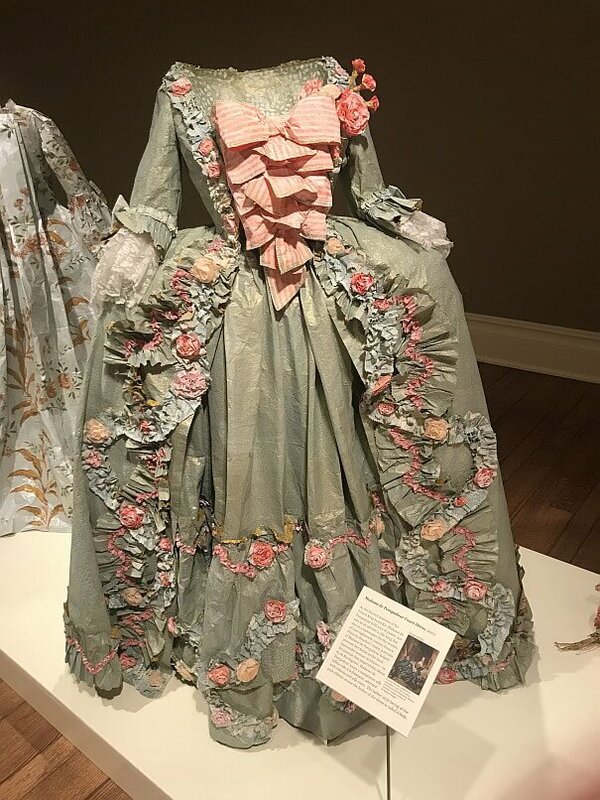 Thus, Borchgrave made her debut in the art world with her collaborative project, Paper in Fashion: one of four big collections of her paper artwork. Currently, Isabelle’s artistic creations are cherished in various parts of the world, from the Palace of Versailles in France to the Dixon in Memphis, Tennessee! In regards to her artistic trials, Borchgrave exclaims that her biggest challenge lies in the process of “telling the story of the Medics, the renaissance Italian style, and the XV century” because of the lack of historical information. Furthermore, Borchgrave exclaims her thoughts on being a woman in the art community by stating that “it’s more difficult for a woman than for a man for sure, but I like the challenge (of being a woman)”. Borchgrave encourages aspiring artists to incorporate any form of artistic expression in their everyday life, for she declares that all people should “draw, watch, see, feel, talk, listen to, and do something (expressive) every single day”. 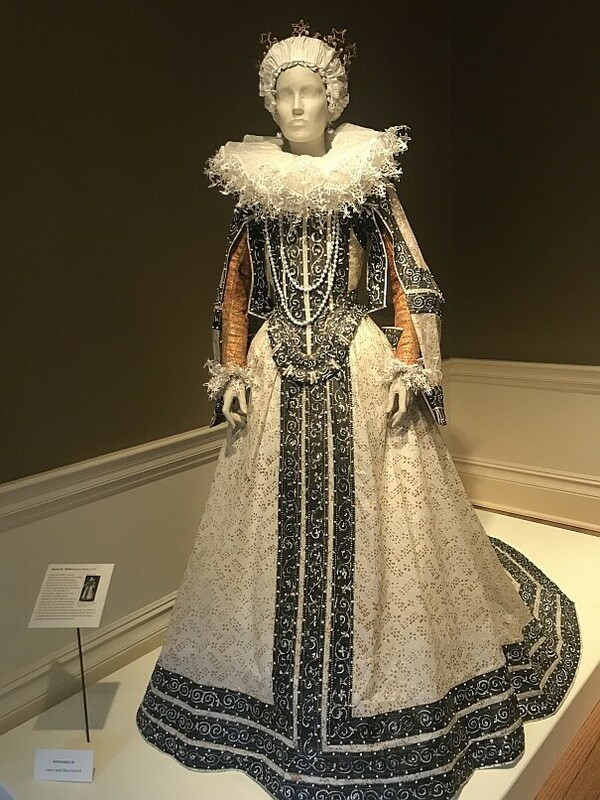 Currently, Borchgrave is working on a new exhibition about Africa and the Silk Road, but she remains grateful to Memphis for allowing her the opportunity to spread her artistic expression of fashion history over the course of 500 years.